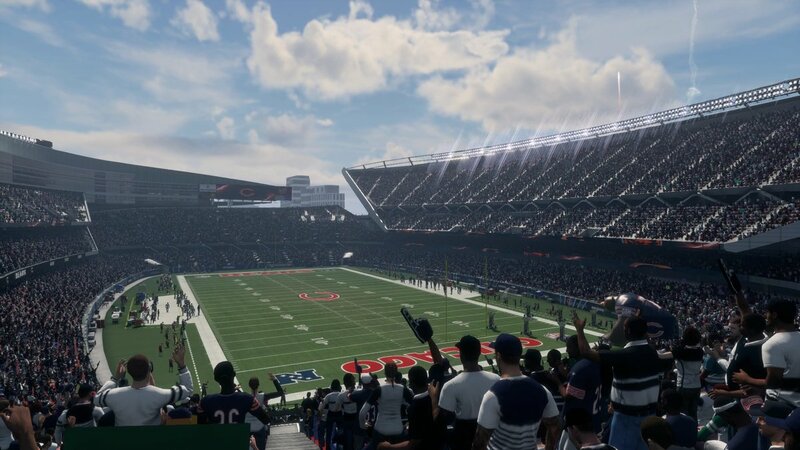 Madden NFL 18 has decided to use the same test elements as Instead of trying to make major changes to the gameplay. The Longshot story mode is also partly a part that may not be satisfying all gamers. Madden Ultimate Team continues to be one of the franchise's most popular game modes. MUT allows you to build a dream team by completing challenges, beating other MUT players online, and by buying cards (with Madden's in-game currency) through the auction house. Completing various challenges earns you coins and you can use these coins to buy packs of cards and build your team. MUT has been around for several years, but the game mode has grown exponentially in terms of the amount of challenges you can do. Even if you do not want to play online vs. other MUT competitors, there’s enough offline challenges to make the mode worthwhile. MUT Coins are the in-game, virtual currency used to build your Madden Ultimate Team. Coins can be earned by completing numerous activities in the game, by purchasing packs from EA directly and then selling the cards on an Auction House, or our favorite, buying MUT Coins directly from us. These coins are then used on an Auction House to purchase different cards that you can use in-game. Anytime you purchase or sell a card your coin amount will update automatically. Doing the solo challenges is easy and do not take much time to complete. Take a look at your objectives and do the easiest ones. Keep doing the easy ones until the challenges become too time-consuming and just not worth the reward. Then, play the Longshot story mode to get decent free cards. Once you have a few thousand coins, try the Auction House. The Auction House is perhaps the most important factor in quickly racking up MUT coins. You must learn how to take advantage of the Auction House and be working it whenever you are not playing. The Auction House follows trends - so study the house and make notes on the players you require. Then, keep an eye on the market so whenever a player you need is going lower than usual, you can get him. If a player is going higher than usual and you have that player on your team, sell him for a good profit and use that money to buy another player or just wait for the player you sold to fall back to his average price before buying him again. Patience is key in the Auction House; do not undersell a player and do not overbuy one either. Players are like a commodity in the Auction House, and their entire point is to make your team better while making you money. Popular players usually sell for higher -- so use this fact to sell them and buy players which are low key but have the same skill. Later on, you can buy your favorite players when you have enough money. Opening packs is not worth it. If you want to efficiently farm MUT coins, avoid packs. If you grind the Auction House long enough, you will get all the players you need. Try entering the Weekend Leagues to earn a lot of coins. To enter the Weekend Leagues, you must win one of the weekly knockout tournaments. In the Weekend League, you can play up to 25 games in the weekend and get a reward based on well you did. The top prizes are as large as 250,000 coins, while the last place also give 3,000 coins. Thus, if you get into the Weekend League, you will get a lot of coins. Cheap Madden 18 Coins PS4/ Xbox One in store now, you guys can click www.madden-store.com for it.